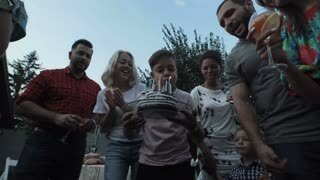 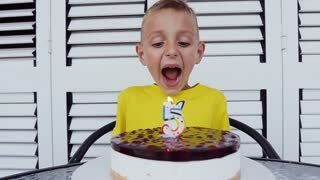 Boy blowing out candles on birthday cake. 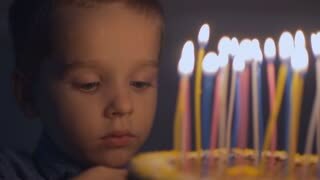 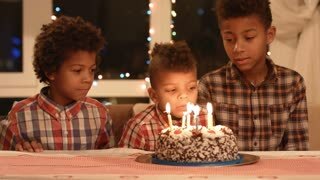 Boy blowing candles on birthday cake. 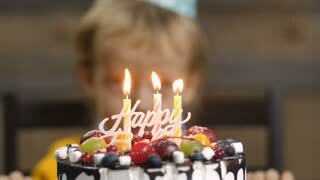 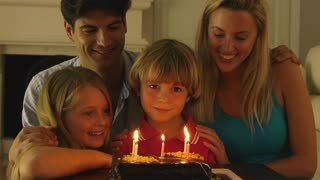 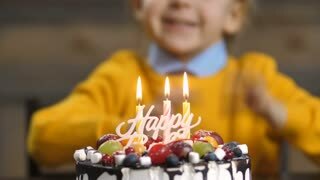 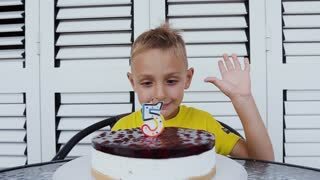 Midsection of sweet cheerful toddler boy, blowing candles on cake and clapping hands during his birthday party at home. 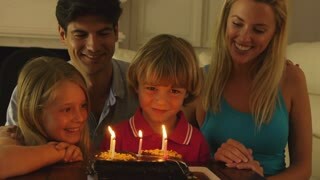 Delicious cake on the foreground with blurry little excited child on background.